Michael joined Wells Fargo Advisors as managing director in March 2016 from Credit Suisse, where he spent 8 years. 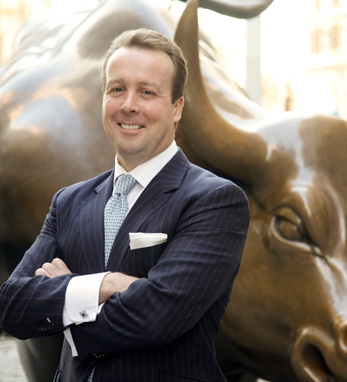 Michael heads the Brewster Financial Strategies Group of Wells Fargo Advisors. He has spent the past 24 years managing investments for high net worth and institutional clients, 16 of which were spent at Lehman Brothers. Michael is the sole manager of the MB Value and Growth, MB Strategic Dividend and Income and MB Small Mid-Cap and Special Situations Portfolios on the team. Michael was recognized from 2010 to 2016 as one of Barron’s Top 1,000 Advisors. Michael serves on the boards of Irish International Business Network (IIBN), National University of Ireland, Galway (NUIG), the Ireland U.S. Council and is involved with the Gaelic Players Association in the U.S.
Michael graduated from Athlone Institute of Technology in Ireland with a higher diploma in management finance from Thomas Edison State University with a B.S. in business administration. Michael was fortunate to immigrate to America in 1989 and counts himself blessed. His father’s family comes from Co. Fermanagh; his mother’s family, the Hegartys, hail from Co. Longford.